Montezuma National Wildlife Refuge is a wildlife preserve operated by the United States Fish and Wildlife Service, encompassing part of the Montezuma Swamp at the north end of Cayuga Lake. The refuge lies between the cities of Rochester and Syracuse, New York (five miles [8 km] east of Seneca Falls, and ten miles [16 km] west of Auburn), including parts of Seneca, Cayuga, and Wayne counties. Most of the refuge lies in the Town of Tyre, in the northeast corner of Seneca County. The Montezuma Marshes were designated a National Natural Landmark in May 1973; the citation notes that "A small, 100-acre area within the site is one of the best examples of undisturbed swamp woodlands in New York or New England." The New York Northern Montezuma Wildlife Management Area borders the national wildlife refuge and protects additional parts of the Montezuma Swamp. A significant spot along the Atlantic Flyway, the Refuge provides crucial habitat for migratory waterfowl and other birds. Mammalian species that roam this refuge include raccoon, coyote, muskrat, squirrel, red fox, chipmunk, beaver, gray fox and bats. The Finger Lakes Region was formed by the melting glaciers of the last glacial period, over ten thousand years ago. The northern and southern ends of the lakes gradually developed into extensive marshes. First the Algonquin Indians and later the Cayugas of the Iroquois Nation were the earliest known inhabitants to reap the rewards of the bountiful life in the marsh. The name "Montezuma" was first used in 1806 when Dr. Peter Clark named his hilltop home "Montezuma" after the palace of the Aztec Emperor Montezuma in Mexico City. Eventually the Marsh, the Village, and the Refuge all acquired the name. There were no dramatic changes in the marsh until the development of the Erie Canal in the 19th century, when it became apparent that feeder canals from Seneca Lake and Cayuga Lake would in time link these lakes with the main line. With canal construction, there arose the possibility of draining the marshes, and an act was passed relative to the draining of the Cayuga Marshes. Work first began on the canal system on July 4, 1817, and the completion was marked by the first passage from Lake Erie to New York City on October 26, 1825. Construction of the Seneca-Cayuga canal began in 1818 and by 1828 boats passed from Geneva to the Erie Canal at Montezuma. The Erie Canal did not greatly affect the marshes as the Seneca River still flowed directly from Cayuga Lake into the marshes. In 1910, the widening and reconstruction of the Seneca and Cayuga extension of the New York State Barge Canal altered the marshes. A lock was built at the north end of Cayuga Lake and a dam was constructed at the outlet of the lake. This effectively lowered the level of the river by eight to ten feet (2 to 3 m) and the waters drained from the marshes. The meandering rivers were straightened and deepened, thereby creating additional drainage-ways. In 1937 the Bureau of Biological Survey, which later became the US Fish and Wildlife Service, purchased 6,432 acres (26.03 km2) of the former marsh. The Civilian Conservation Corps began work on a series of low dikes which would hold water and restore part of the marsh habitat that had once existed. A great blue heron at Montezuma National Wildlife Refuge. The refuge was opened in 1938 as the Montezuma Migratory Bird Refuge. President Franklin D. Roosevelt signed Executive Order 7971 which established the Bird Refuge on September 12, 1938. The refuge provides a stopping point for waterfowl and other migratory birds. The refuge restored marsh land lost to drainage from the construction of the Cayuga and Seneca Canal that linked the Finger Lakes to the Erie Canal. In May 1973, the refuge was designated as the Montezuma Marshes National Natural Landmark by the Secretary of the Department of the Interior. On September 22, 2000, "Harmony With Nature" - an eight-person team of musicians from around the country - performed a concert at the refuge featuring the music of the late John Denver. This concert at Montezuma NWR marked the first time a musical show had been held on federally protected wildlife land. The 10,004-acre (40.48 km2) preserve is composed of swamps, pools and channels and is a stopping point for migratory birds. Planners hope to increase the size of the preserve through donations and purchases of surrounding properties. The New York State Thruway passes through the north end of the preserve. While passing motorists can glimpse the preserve as they speed along the Thruway, they may obtain a better view from the 3.5-mile (5.6 km) road that begins at the visitors center south of the Thruway. The refuge also has an area where bald eagles have been nesting in recent years. In addition to providing wildlife habitat, the refuge also provides opportunities for people to observe wildlife. The refuge is open during daylight hours seven days a week. The 3.5-mile (5.6 km) Wildlife Drive is a one-way auto tour that provides many opportunities to observe and photograph wildlife. The main feature of the drive is the 1,600-acre (6.5 km2) wetland which hosts a rich diversity of waterfowl, waterbirds and other wildlife. The drive is open most of the year with the exception of winter, when the road may not be passable. The two-mile (3.2 km) Esker Brook Trail and the 3⁄4-mile (1.2 km) Oxbow Trail are available to hikers and walkers. A visitor center and gift shop are open from April 1 to December 1 and have educational brochures, exhibits and specimens about the refuge and its wildlife. ^ "National Wildlife Refuges-Acres By Unit" (PDF). US Fish and Wildlife Service. Retrieved 17 September 2016. ^ "National Natural Landmarks - National Natural Landmarks (U.S. National Park Service)". www.nps.gov. Retrieved 2019-04-15. A small, 100-acre area within the site, is one of the best examples of undisturbed swamp woodlands in New York or New England. ^ a b "Wildlife". Montezuma National Wildlife Refuge. USFWS. Retrieved 2009-09-18. ^ a b c d Gable, Walter (2004). "The Montezuma National Wildlife Refuge". Seneca County, N.Y. Archived from the original on 2012-02-27. Retrieved 2013-07-23. ^ "Franklin D. Roosevelt - 1938". The Federal Register. The National Archives. Retrieved 2009-09-18. ^ "Wildlife Tour". Montezuma National Wildlife Refuge. USFWS. Retrieved 2009-09-18. ^ "Visitor Center". Montezuma National Wildlife Refuge. USFWS. Retrieved 2009-09-18. 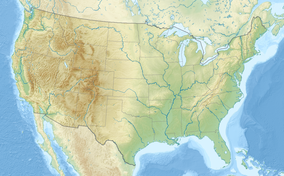 Wikimedia Commons has media related to Montezuma National Wildlife Refuge.